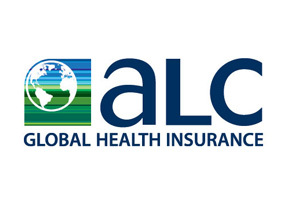 ALC Global Health Insurance is headquartered in the United Kingdom and it provides international health insurance solutions to individuals, families and expatriate employees of global corporations since it began operating a little over 10 years ago. ALC’s products are flexible and futuristic which take the healthcare requirements of the modern international citizen into consideration. Paramount among ALC’s customer-centric strategy is their ability to take a personalized approach to its policyholders. Its consultants and advisors will assess the needs of each member before making recommendations from the wide variety of products, services, benefits and provisions it has to offer. ALC is based in the UK and it also has a number of offices located throughout Europe with Thailand based ALC subscribers being eligible to contact the UK office for assistance. One important point to be aware of is that on 01 December 2011 AXA PPP became ALC’s underwriter. This was a significant development as AXA PPP is widely recognized within the industry as being a leading international health insurance company and it ensures ALC’s operations are supported by a large multinational health insurance institution. The Thailand representative office of our company has been using ALC as our health insurance provider for a couple of years now and we are delighted with the coverage our management and staff have been able to receive. Having a corporate plan with ALC has been one of the overriding factors in our ability to recruit the professionals we wanted and we have had no issues adding new staff members to the plan, an added bonus! Borne out of frustration with my previous medical insurance provider, I began using ALC last year after a quick consultation with Thailand health insurance and I must admit ALC have been a dream to work with. When I began the claims process after a recent spell in hospital, their customer services staffs made it all seem so easy. I’m happy to say I think this is one policy I will be keen to renew in years ahead! We can provide you with information and advice on ALC or any of the Thailand health insurance providers found on this website and you can contact our research staff here. Alternatively, please enter your details in the form section at the top of this page to submit a request for Thailand health insurance information.